from myself estranged, I borrowed you. I wore your monkish cowl as my disguise. willingly you lent me language too. lost words and vanished sounds revived in me. your speech I made my own. I am before, I am after, I am behind my time. Until my hour comes round, all time disowns me. My place, my name, forsake me. save only by a trusted few. your quill, your parchment, I forego. Here begins my glory, my posterity. my fame. I fling my arm down, so. 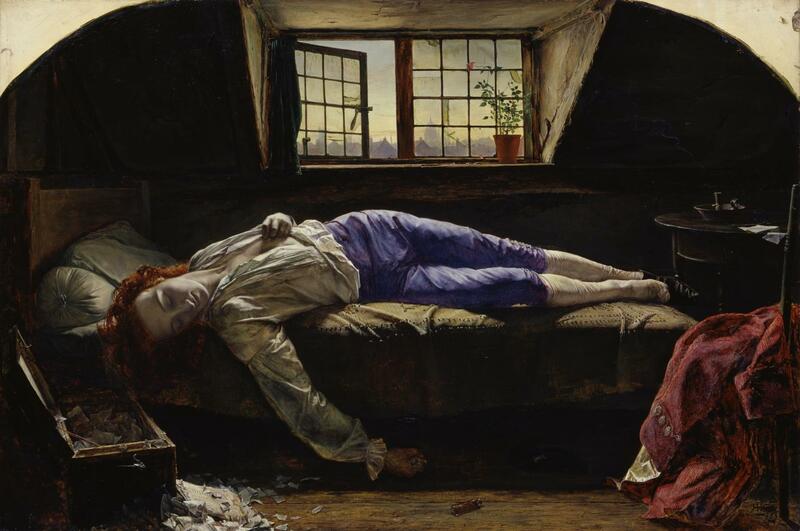 'Chatterton', by Henry Wallis, 1856.